The perfect complement to a beautiful outfit these socks are available in easy-to-match colours! Choice of 2 packs: pink (3 pairs of light pink + 2 dark pink) or white (5 white pairs). 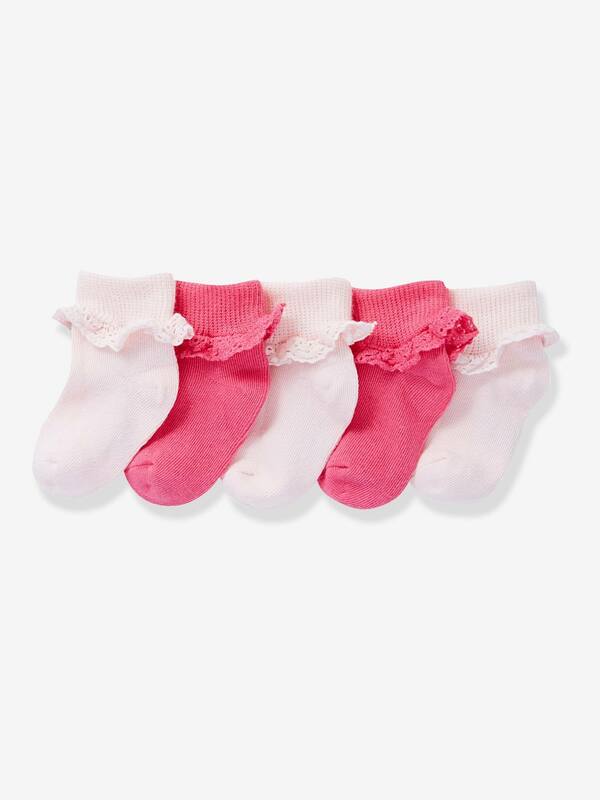 Baby socks 87% cotton, 11% polyamide, 2% elastane.